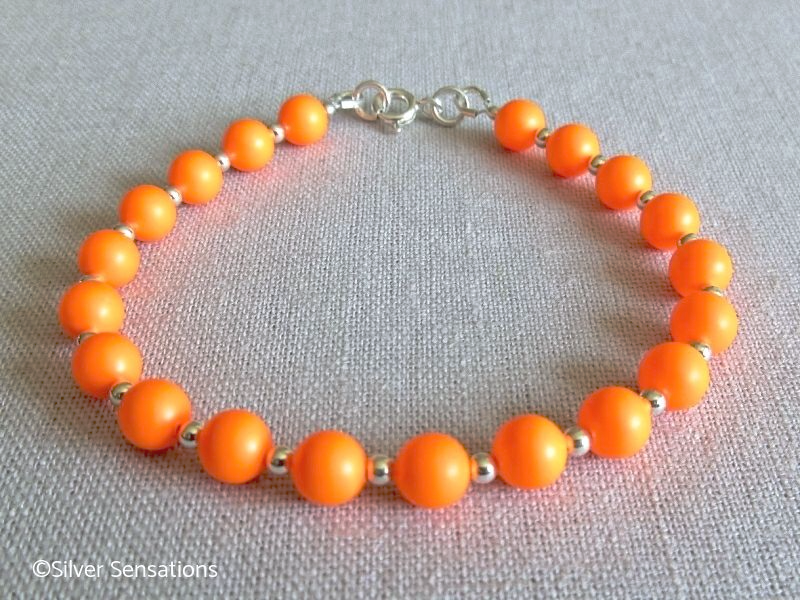 This handmade bright orange bracelet is simple yet stylishly elegant & will brighten up even the dullest of days. 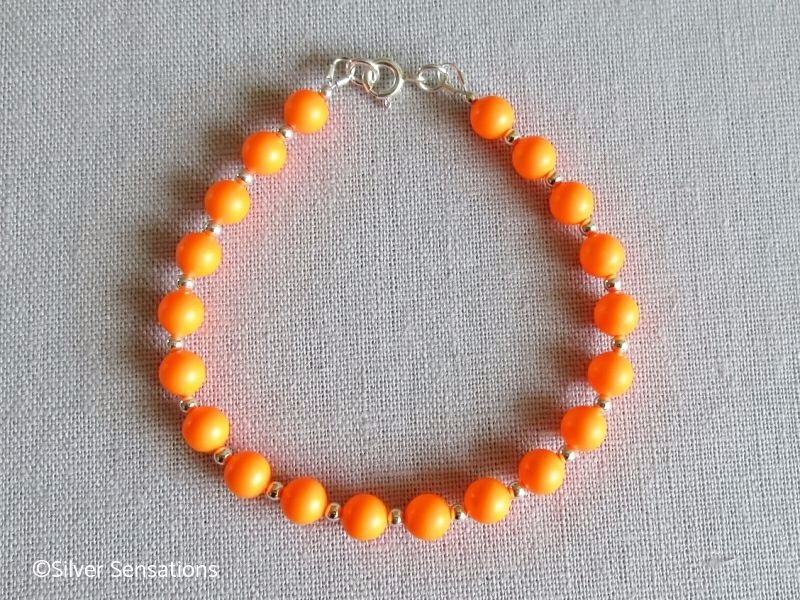 I have used 6mm Swarovski Crystal Pearls in a wonderful neon orange colour. In between each of the Pearls is a Sterling Silver seamless bead for a little extra luxury. 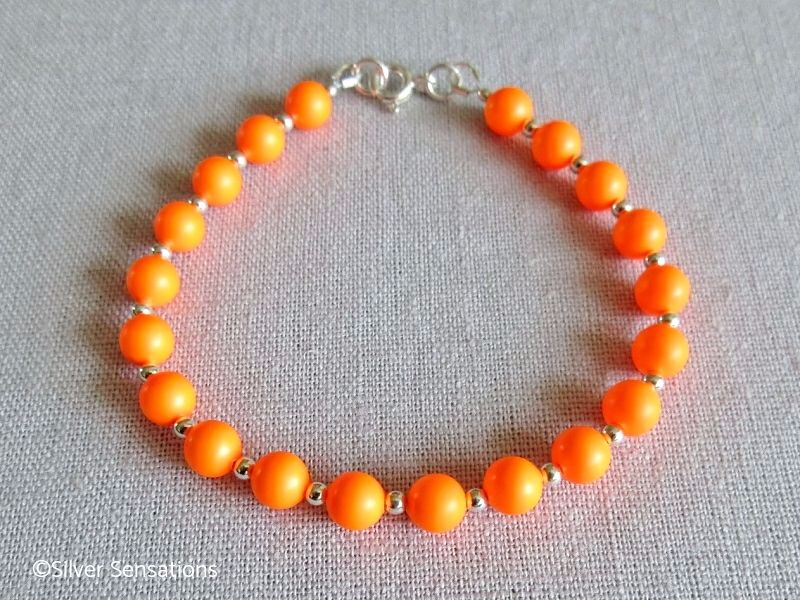 It has a wearing length of 7.25" - 7.5" and is finished with a Sterling Silver bolt ring clasp fastener & fittings. 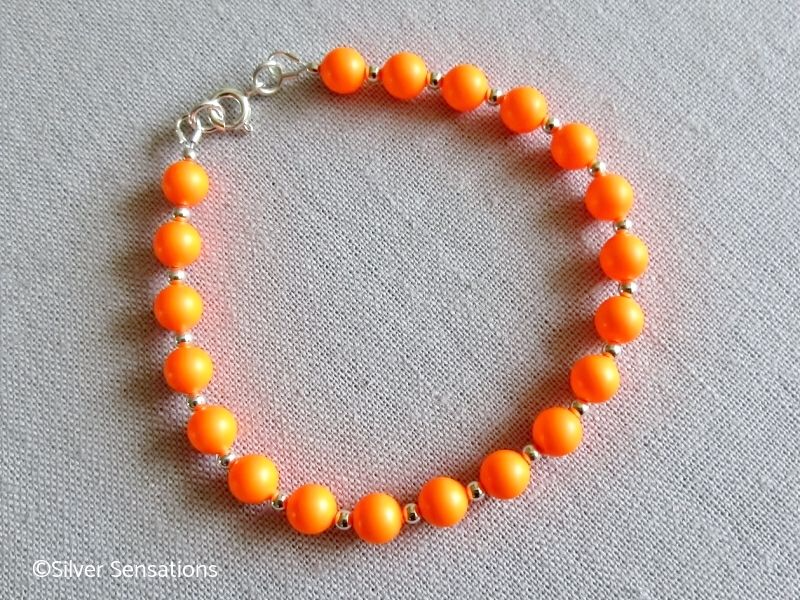 This stunning bracelet can be worn to any occasion, day or night & even with jeans & T-shirt. 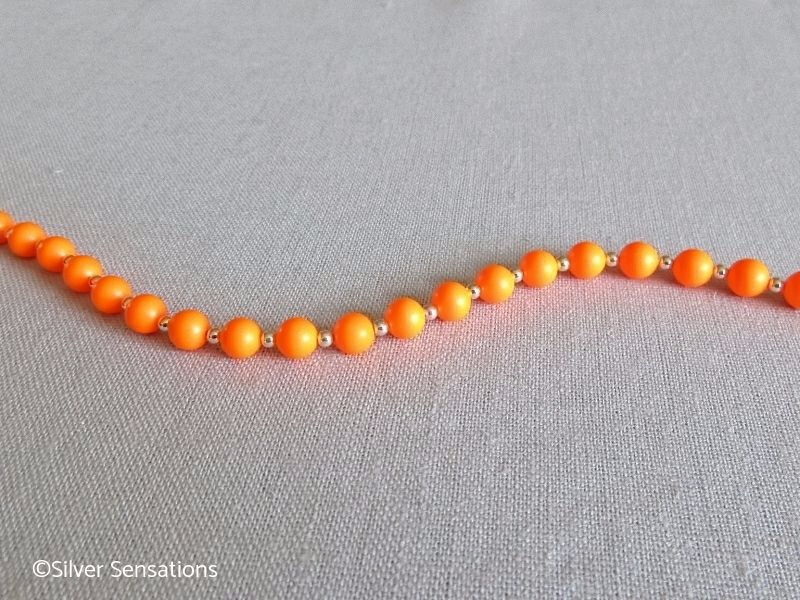 Wearing Fit - 7.25" - 7.5"
"Wanted a bright orange bracelet for summer & this is perfect."